Freakonomics of parenting! 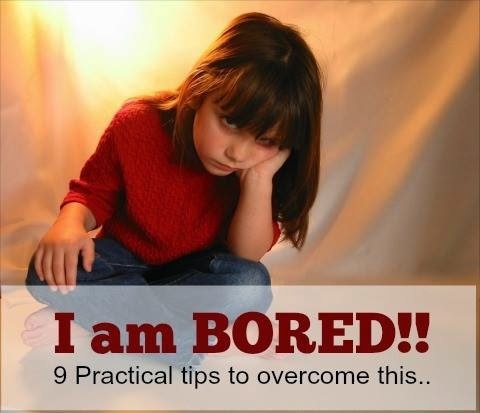 : Mommy, I am bored! 9 practical tips to overcome this during Diwali holidays! Mommy, I am bored! 9 practical tips to overcome this during Diwali holidays! - Mommy, I am bored! - No, watched it already. - Then, go and play on Ipad. - No, I want to do something exciting. All my friends have either gone out for holidays or are unwell. What should I do? Come holidays and this situation is repeated in each and every household. I remember we used to get 3 weeks of Diwali holidays and we used to be out of our house at the first opportunity. All our colony friends used to gather around to practise for cultural programme, draw rangolis, make imaginary forts of Shivaji with mud and bricks, spring-clean our houses and stick ourselves on the kitchen counter to check what's going to roll out from the steaming kadhai! I think we never had time to say we were bored! Cut to today's situation - nuclear families, double income generating parents, kids living in daycare centres, and most importantly no time on hands for dabbling in simple creations has led the kids to get bored. Yes, the onus lies on us. Imagine for how much time will they watch TV? Or for that matter, play games on Ipad. So, I am listing here some ways for parents to enjoy your holidays with your kids without making yourselves fret out and the kids also can have a gala time. Shopping - Diwali is the time for shopping. Make sure that you plan your shopping well in advance so that there is no last-minute rush. Involve your kids in making shopping lists and try to take them along. Kids enjoy to shop for crackers, diyas, lanterns etc. DIY - Some things like diyas, greeting cards, sweets etc. can easily be made at home if parents have time. You can also draw rangolis in front of your house. Kids will enjoy in creating something of their own and it is also time well - spent. Be ready to supply all the materials to the kids. It can also be a great bonding time between you and your child. Movies - Watch some children's films related / unrelated to Diwali. This is the only time when children can spend 2 hours at a stretch. Have open-hearted conversations asking what did s/he like in the movie, what was the story about etc. Stories - Tell stories about Diwali to make them understand our culture - why do we celebrate Diwali?, What is it's importance? etc. Journey - If time permits, go on a short Diwali break. Encourage them to note down or make a scrap-book of what they saw, what did they do there. Tell them to note down important snippets like climate, food, people, culture, natural topography etc. Visit to an orphanage - Take your children to an orphanage or an old-age home since this is the best time to inculcate generosity in your kid. Explain to them that not all people are as fortunate as you and hence, you are liable to spread festive cheer in others too. Your kids will be humble and more respectful of what they have without you admonishing them for wasting things. Play-dates - Organise play-dates in your neighbourhood so that only one parent will have to look after all the kids instead of everyone having their kids at home. Kids also gain some experience in social behavior. Also, they themselves will be able to judge what liberties they have which are not allowed in other households. Help in the house - Involve your children and encourage them to help you in cleaning your home. Give them small tasks wherein their decision-making skills will evolve. Like, tell me where should we place our lantern? No TV - And more importantly, restrict their TV time by encouraging play through sports, board games etc. I hope these tips will help to tide over not only Diwali Holidays but also Christmas and Summer vacations fruitfully. So, what do you think of these tips? 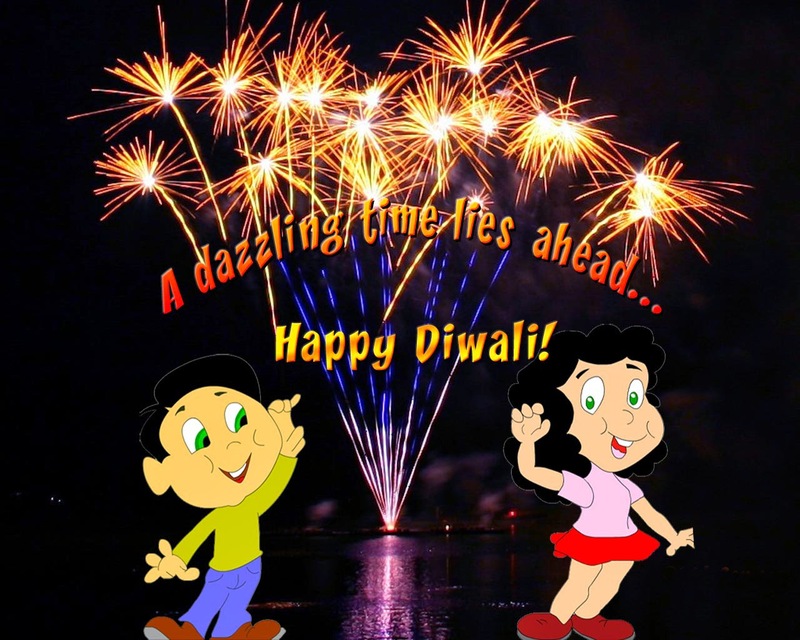 How would you like your children to spend their Diwali Break? Leave a comment if you also have some tricks up your sleeves. Have a very Happy and safe Diwali!